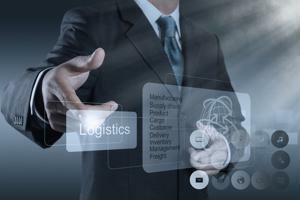 There are many benefits to integrating the logistics and purchasing processes of supply chain operations. According to research conducted by University of Tennessee, "Bending the Chain: The Surprising Challenge of Integrating Purchasing and Logistics," these two supply chain segments account for as much as 70 percent of a company's spend. In the study, which surveyed 180 industry professionals who represented a wide range of industries, the UT researchers found a serious disconnect between logistics and purchasing functions and determined that the communication and interaction between these units tends to be casual and unstructured. Typically, companies manage the systems in silos as entirely separate entities. However, by taking a more integrative approach to operational management, supply chain leaders can optimize efforts and improve overall success. Furthermore, the report suggested that "when the purchasing and logistics functions are merged together, companies may realize increased levels of functional and financial performance such as greater efficiency, reduced complexity and lower operating expenses, cost of goods sold and inventory." Even when logistics and purchasing procedures are aligned with the core business strategy, if the two sectors are not connected to some degree, there is likely unnecessary disorganization plaguing the corporation in question. The majority of companies understand the importance of using metrics to assess operational performance. However, although managers intend to tailor activity to support business objectives, seldom does this actually end up happening. Research collected by Supply Chain Quarterly found that the metrics used for operational performance are often inconsistent with what is used at the corporate strategy level. This is problematic, since applications are often measured on how effective they are in helping the achieve the business's long-term goals. The source added that, because of this disparity, companies must be strategic and selective in the types of metrics adopted. To bridge the gap between units, and therefore facilitate a more competent and sustainable enterprise, the UT researchers suggested identifying and implementing shared goals between the supply chain divisions. The managers of purchasing, logistics and operations processes, respectively, should not only be knowledgeable in the goals of one another, but should also consistently communicate and collaborate. "High-performing companies are able to bend the chain of plan, source, make and deliver to enable alignment between purchasing and logistics," the report explained. One of the emerging industry trends that could help create a more cohesive environment between units is increasing supply chain visibility - something that a GT Nexus white paper published last month suggested is "fragmented, disjointed and siloed" with businesses today. Therefore, the source recommended providing real-time data to key members along the supply chain, as doing so can result in better control and agility, heightened levels of communication and a stronger infrastructure. Integrating logistics and purchasing processes and improving the level of transparency and collaboration across operations will not only minimize the risk of disruptions, but will also help ensure end-to-end supply chain optimization.